A while ago I filled my Large Z Palette full with Makeup Geek Eyeshadows and I still want to buy more! 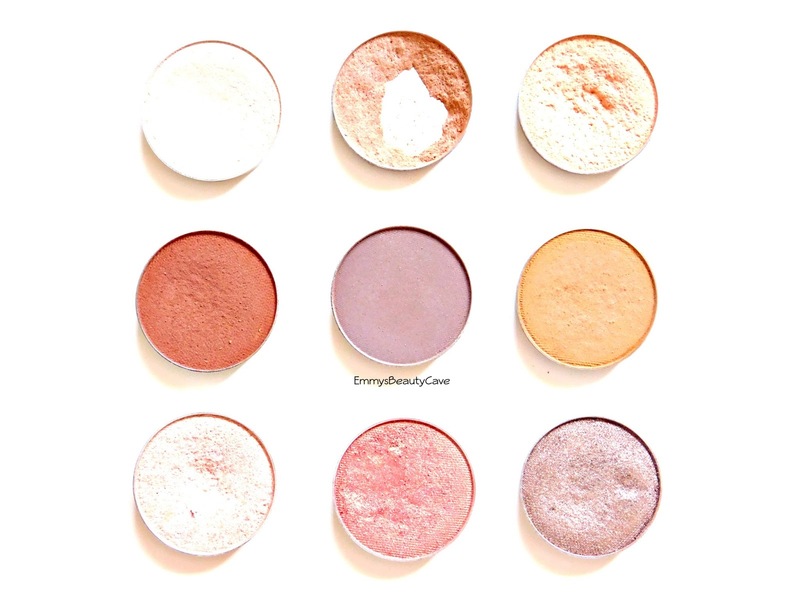 Makeup Geek have a wide range of shadows and different finishes which can make it hard knowing where to start. I thought I would share my top picks for your Makeup Geek Starter Kit. I have include different types of shadows that I think would work well and in a wide range of looks. 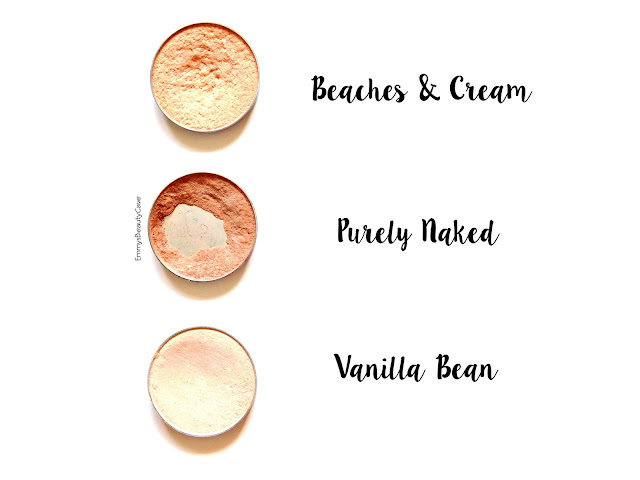 Vanilla Bean | Matte | Perfect as a base shade. I always find applying a base shade helps the pigment of other shadows show up better. Purely Naked | Matte | As you can see I will need to buy another soon! It is a light brown that works magic as a transition shade. I use this in nearly every look. 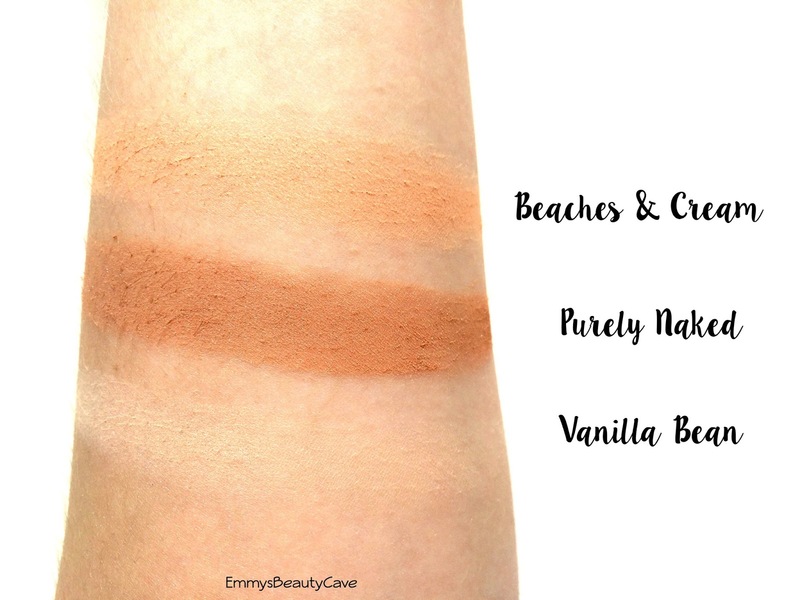 Beaches & Cream | Matte | A peach toned shade that I usually apply as a transition shade before Purely Naked then those two shades blend beautifully together. 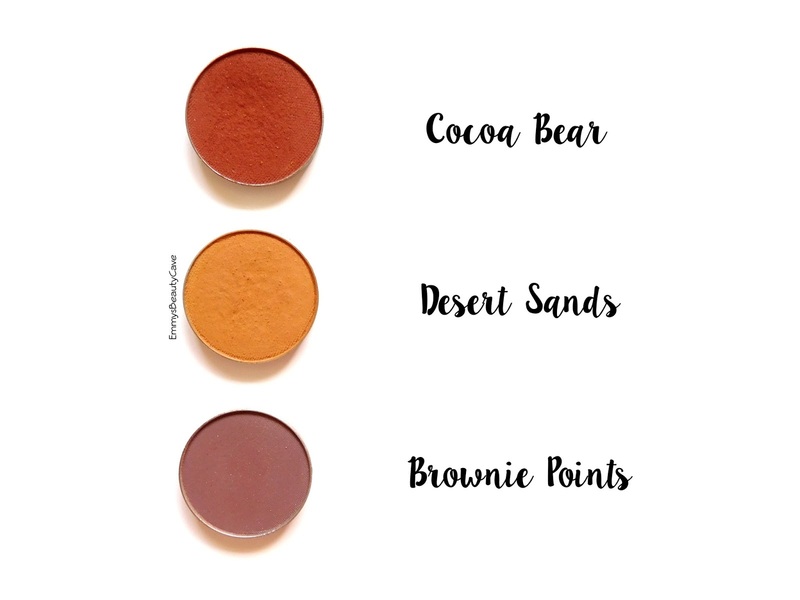 Cocoa Bear | Matte | This is a red toned brown quite like a brick kind of colour. I didn't think I would get much use of this at first as it looked so dark but I use it all the time. As it is a red tone brown it works with neutral looks or more glam bronze/gold eye looks. It looks gorgeous on the outer corner or to deepen up the crease. 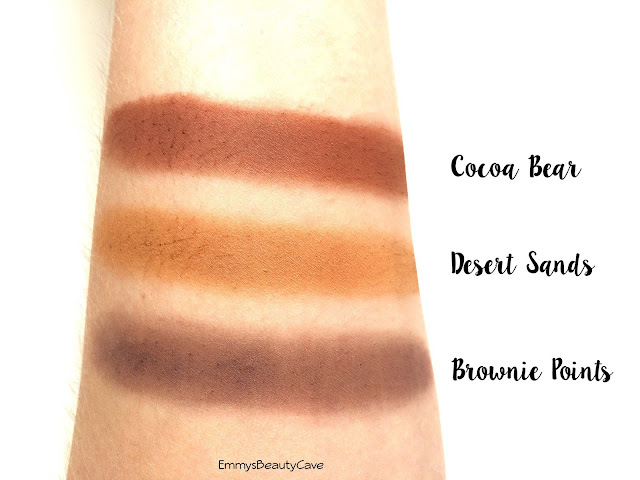 Desert Sands | Matte | This shade looks scary and again I bought it then thought I wouldn't use it but I use this so much. It is a mustard colour but looks gorgeous on. I use this along with Purely Naked and Cocoa Bear in the crease. I also love using this shade when I do a khaki type eye look. Brownie Points | Matte | In the swatch this doesn't look as good as it is! For some reason this shade doesn't swatch as well as the other but when used with a brush it works perfectly. It is a deep purple toned brown that looks gorgeous with most eye looks! 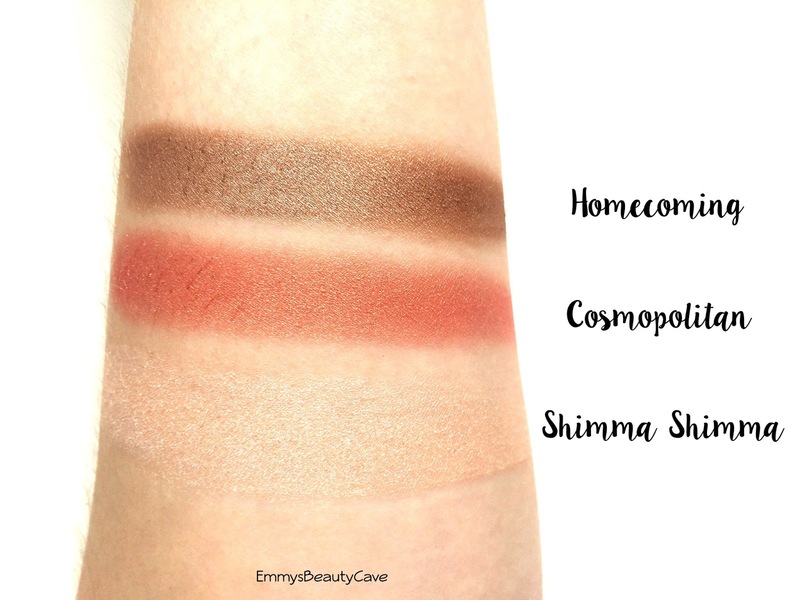 Homecoming | Shimmer | This shade is very much like MAC Woodwinked, it is a lovely shimmery brown. I love applying this all over the lid, it looks gorgeous with Purely Naked and Cocoa Bear or even Brownie Points. 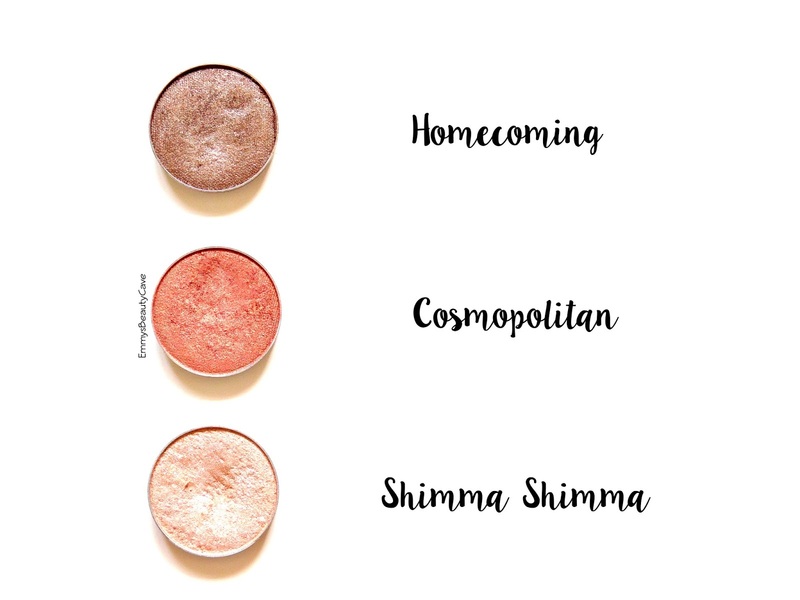 Cosmopolitan | Shimmer | One of my favourites. It is a peach toned shimmer with a hint of pink. It looks so pretty all over the lid without being in your face. I personally love this all over the lid with Mango Tango in the crease. Shimma Shimma | Shimmer | The name says it all! This is such a multi tasking shadow as it looks lovely all over the lid or I use it mainly on my brow bone as a highlight and the inner corners of my eyes. You can buy Makeup Geek from Beauty Bay in the UK or the Makeup Geek Official Website now ships internationally.